Two teenaged high school students, a male and a female drowned today on a class trip to the Cayo District. It happened at around 4:00 pm in the Macal River near the low lying bridge in Santa Elena. The students - who are from Escuela Technica Mexico in San Roman, Corozal - had gone on a class trip to the Che-Chem Ha caves in Cayo. On the way back, the entire contingent travelling on bus stopped for a swim in the river. This, we are told, was not on the planned agenda. During the swim two students went under - reportedly pulled by the currents - and they did not re-surface. The body of the male student was retrieved shortly after, and about an hour ago, the body of the female, was found. We have their names, but will not release them until we are certain all family members have been informed of their death. We can say that they were both fourth form students he from Patchakan and she from San Joaquin.. Both bodies have been transported to the morgue. She was wearing long jeans pants when her body was found. We'll have more on this tragic mishap on Monday's news. 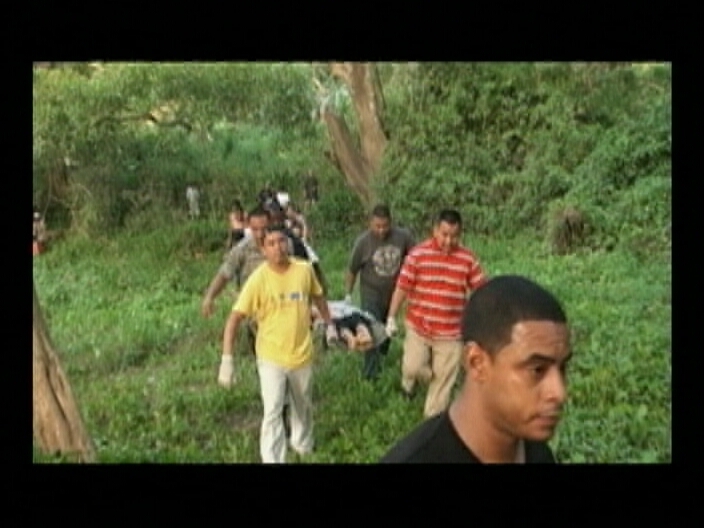 Two high school students drowned this afternoon in the Macal River in San Ignacio/Santa Elena town. The deceased students of Escuela Secundaria Tecnica Mexico in Corozal, have been identified as 16 year old Edgar Puk and 15 year old Anahli Zepeda. The two students were part of a class trip to the Chechem Ha cave in Benque Viejo del Carmen. On the return journey to Corozal, the bus stopped in the vicinity of the Macal River Park. And that was when some of the students decided to go for a swim. Around 4 pm, tragedy struck. Puk and Zepeda were carried away by the current in the river and disappeared under the water and did not resurface. A group of tour guides, police officers and concerned residents retrieved Pook’s body within an hour and it was taken to the morgue at the San Ignacio Community Hospital. 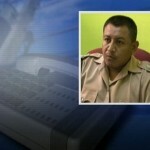 The body of Zepeda was recovered about an hour later and also taken to the morgue. A field trip ended tragically this afternoon; two students from Escuela Secundaria Tecnica Mexico in the Corozal District have drowned in the Macal River. The body of Edgar Pook was the first to be retrieved at around four-forty-five, while the body of the female student was recovered approximately an hour later. 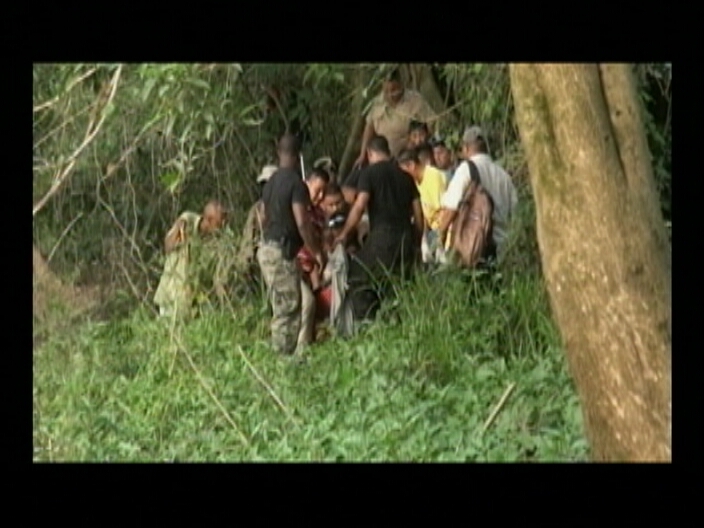 The drowning victims were among a group of students on a class trip to the Che Chem Ha Cave in Benque Viejo. They set out early this morning from the school and had finished a day of hiking at the cave. It was on their way back that they stopped near the low lying bridge in the Twin Town of San Ignacio and Santa Elena to take a swim in the river. But unfortunately, the two went under and did not resurface. For the past two weeks, water levels in the Macal have been fairly low, but today, it fluctuated causing strong currents. The scene at the river bank is filled with grief as students and teachers mourn the loss of their friends and classmates and find comfort among each other. A team of tour guides, police and other residents searched for the missing students. Deputy O.C. 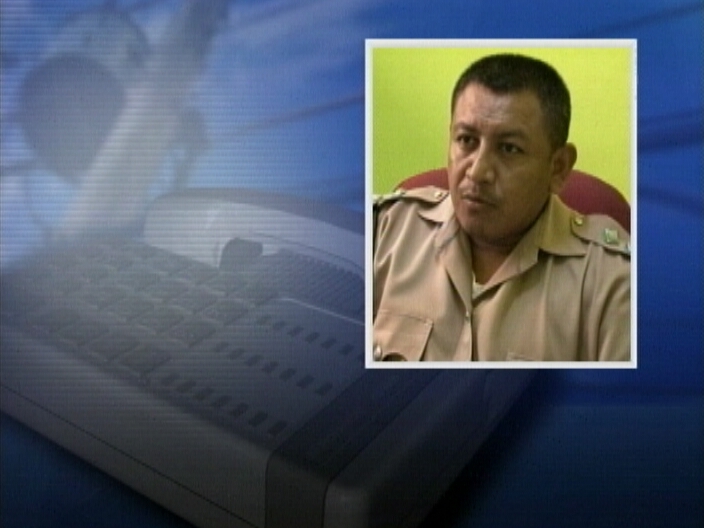 of San Ignacio Police, Inspector Reymundo Reyes, spoke with News Five a few minutes ago. “Well the purpose of the trip was to visit a ruin here in the Cayo district but on the way back they decided to stop and let the students eat or something and so forth but at the same time some of them decided to get into the water. Fourth form students from Escuela Mexico in Corozal were on a school trip to San Ignacio today and with the heat on, some of the students went for a swim in the Macal River by the wooden bridge connecting the twin towns. However, something went wrong and two of them drowned. Our Cayo affiliate, Kent Pandy, spoke to one of the men who assisted in the recovery of the 17 year old male’s body. Witness 1: “We just hear the lee gial dih cry and ting like that and then we just jumped in side and thing, and then, when we just start diving and ting, we find one ah dih bally, but we no find the gial and then we tek ah out. Witness 1: “Da me and wa next bally tek ah out. But then we try pump ah and ting and still, nothing. E don mih dead already“. Witness 1: “Just one ah them we see, but then, we still jump eeana wata fih try find the adda one. We still no find ah”. Witness 1: “Da sixteen; da lone fourth Formers from Corozal”. This evening, the body of the female student was retrieved from the river after a number of divers kept searching. The families of the victims have all been notified and the bodies have been transported to the morgue. Families, friends and classmates of the students have been hit hard by today’s tragedy. Did the runoff from the Vaca Dam have anything to do with the drowning of two teenagers in the Macal River on Friday? 7News has learned from a clothing vendor who sets up right beside the river that every afternoon at around four a surge of water rolls down the river from the Vaca dam. She said she observed when the students - who have no familiarity with the river - and could not swim were swept off their feet by the wave. As is now well known 17 year-old Egar Puck and 16 year-old Anahi Zepeda were swept off into depths where they could not touch and they drowned. She says they were wading in water up to their ankles and when it suddenly got higher, it swept them away. BECOL's Vice President of Operations, Stephen Usher confirmed to us today that when the VACA Dam goes into operation in the morning it harnesses and then releases water at 10:00 am, which does reach San Ignacio around 4:00 pm. This, he says, is a normal part of power generation and he characterized it as quote, "not a massive amount of water." Usher says depending on how much power they generate the water level in the river can increase anywhere from eight to ten inches, all the way up to two feet. He says the actual change in the river level varies depending on whether the water is passing through a wide or a narrow channel. He adds that the maximum amount of water they release would not cause a significant rise in the river, not comparable to a flood. This has been happening since VACA was commissioned in 2010 - and Usher committed that his company is willing to work with NEMO and the Department of the Environment to see whether the installation of signage will help in creating a more safe swimming environment. In early April, two students from Escuela Secundaria Tecnica Mexico drowned near the low-lying bridge in San Ignacio. Their deaths sparked speculation that a surge of water released from the Vaca Dam daily contributed to their demise. This past weekend another young man, Jonathan Requeña, died in the area between the Hawkesworth Bridge and the low-lying bridge. The time of his death at three forty-five coincides almost exactly with the time of death of the students weeks prior. That has again given rise to speculation that a strong surge of water from the Vaca facility could somehow be connected. Today News Five spoke to Steven Usher, Vice President of Operations for BECOL, which operates the Vaca Dam. He maintains that it’s just not possible, since there is no surge of water released from the dam. 2 months ago, Anahi Zepeda and Egar Puck, both 4th Form students from Escuela Secundaria Technica Mexico, drowned on a class trip to the Cayo District. Today, after the completion of their internal inquiry, the school announced that the teachers who were in charge of the trip have been suspended. A release from the School Board of Management says, quote, "An intensive investigation was conducted, and the Board has unanimously agreed that the four teachers who accompanied the students erred in modifying the itinerary during the educational trip to Che Chem Ha Caves on 4th. April, 2014." The release continues to say that the Board has recommended that the teachers be suspended and fined in accordance with the rules governing the conduct and behaviour of the teachers. The statement closes by saying that all relevant materials to this matter has been forwarded to the Teaching Services Commission.